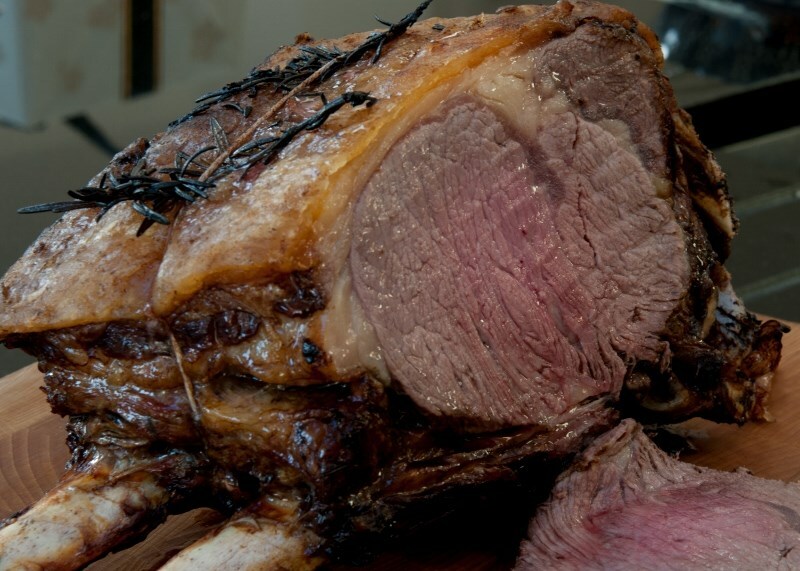 Roast rib of beef - Underground Fitness Dun Laoghaire | Bray | Dublin & Wicklow - Personal Training, Group Training and Bootcamps. Rinse the joint and pat dry. Peel 2 cloves of garlic and the rest unpeeled. Place the rib of beef in a heavy bottomed roasting tin. Add the unpeeled garlic cloves, shallots and bruised sage leaves. Make some slits in the meat and insert the peeled garlic cloves and rosemary. Pour the olive oil over the meat. Put the tin in the hot oven and seal the meat for 20 minutes, turning the joint on its sides a couple of times. Remove the roasting tin from the oven and pour over the wine. Return to the oven and leave it for a couple of minutes. Turn the oven temperature down to 190˚C/170˚C fan/Gas 5 and continue roasting for 30 minutes per kilo if you like your beef rare or 40 minutes per kilo for medium rare. Remove the beef from the roasting tin and transfer to a carving board. Cover with kitchen foil and leave to rest in a warm place for at least 20 minutes before carving. Meanwhile, strain the roasting juices through a sieve. Season with a little salt and a generous grinding of black pepper and keep warm. Arrange the carved beef on a warm serving dish, drizzle with the roasting juices and serve immediately. Paleo Hunter Stew perfect for these cold winter days.